Cleber offers a powerful, flexible and modular hardware and sof¬tware platform for broadcasting networks, where customers can install up to six boards with no limita¬tions in terms of position. Based on a Linux em¬bedded OS, Cleber detects the presence of the boards and shows the related control interface to the user, either through web GUI and Touchscreen TFT display. Two power sources (AC and DC) are always available; for the DC source, customer can chose between 22-65 Vdc or 10-36 Vdc according to the application. 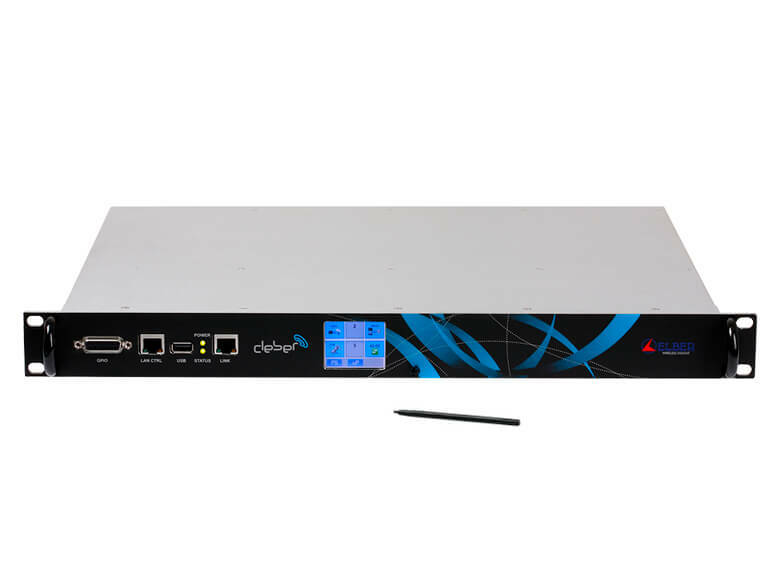 MS2 is a satellite modulator board to be installed in the Cleber platform; compliant with DVB-S and DVB-S2 standard, it also manages roll-off of 0.05 (DVB-S2X). Basic board accepts 2 input streams over ASI: in single stream configuration, a seamless switch between the two inputs is implemented; in multi-stream configuration, the streams can be associated to different Input Stream Identifier (ISI) as per standard. The basic board can integrated with an extension board, adding 4 more input streams; furthermore, two more streams can be fed to the modulator through internal bus, coming from local encoders, satellite receiver, ASI bridge boards (optional plug-in modules for CLEBER), achieving a maximum of 8 input streams. Two output connectors are available: the main one covers the L-Band between 950 and 2150 MHz, the second offers an additional IF output (70-140 MHz synthesizable), besides a L-band monitor signal. By software, it is possible to enable 10 MHz reference for external BUC over the L-band output, optionally with high-stability OCXO. Symbol rate maximum is 49.5 Mbaud and all modcods are available as per standard; output power is configurable over an extended range, -40 up to +8 dBm, with excellent MER.